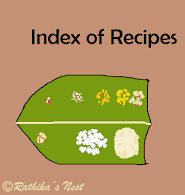 In Tamil Brahmin cuisine, raw vegetables, pulses and lentils are included in the menu as the traditional salad called ‘kosumalli’ (கோசுமல்லி). Feast menu invariably contains at least one kosumalli. 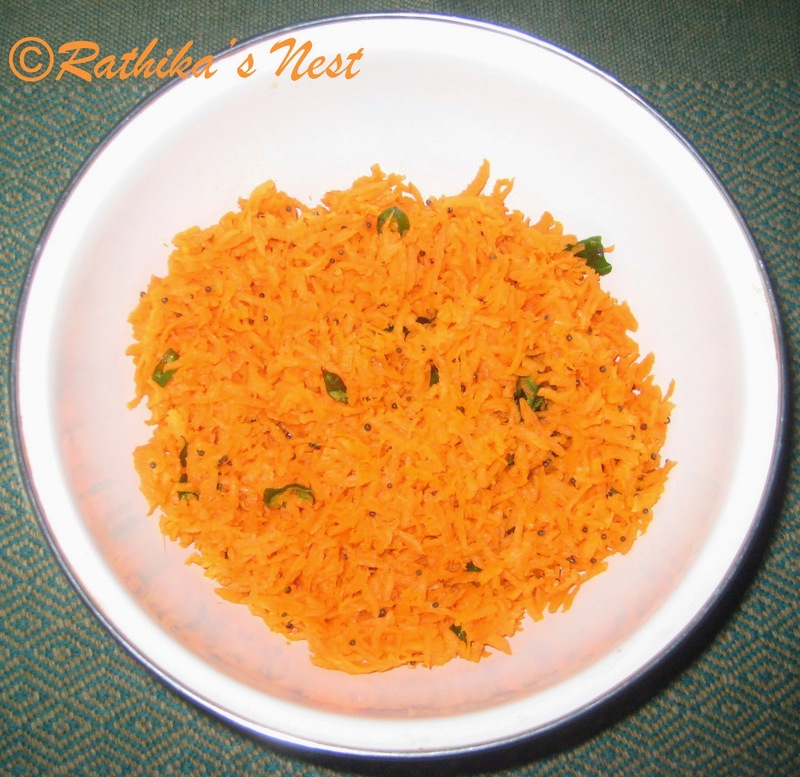 Carrot kosumalli is very popular in my home. You can eat this salad as such or serve along with the traditional meal. It goes well with chappati and gravy as well. Moreover, children enjoy eating carrot kosumalli. Just try this easy recipe! Method: Scrape the skin and wash the carrots well. Grate the carrots using a fine grater. Mix grated carrots, lemon juice, salt and chopped green chilli in a bowl using a fork. Heat oil in a tadka pan or spice pan (தாளிக்கிற கரண்டி), add mustard seeds and when they start to sputter, add asafetida. Switch off the fire. Add the seasoning to the carrot mixture. Mix well. Garnish with curry leaves and coriander leaves. Serve with meal or chappati and gravy. Note: If you are serving kids, you may omit green chilli or reduce its quantity.